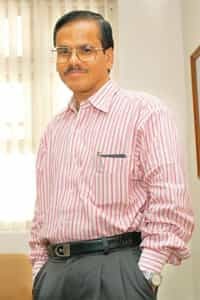 Mumbai: The chief regulator of the commodities derivatives markets hit out at a proposal to merge the Forward Markets Commission (FMC) with capital markets regulator Securities and Exchange Board of India (Sebi), saying such a move is irrelevant in the context of today’s globalized markets. In a freewheeling interview earlier this week, FMC chairman B.C. Khatua said treating the commodities derivatives markets in the same way as an investment market is dangerous, and that the government should close the commodities derivatives markets rather than merge it with the capital markets. The idea to merge the two was first mooted by a high-level coordination committee on capital markets set up by the finance ministry, and also found a mention in the annual pre-Budget Economic Survey in July. The government is trying to implement the committee’s recommendations. Khatua added that the proposal neither adequately studies the dynamics of the commodities markets nor has it taken any views on the subject from the commodity market participants. He would question the credibility and competence of the committee, the FMC chief said. He also pointed out that the experiment in the West to treat commodity derivatives markets on a par with other financial markets has backfired. This is what led to the rise of crude oil futures contracts to an all-time high of $147 (Rs7,174 today), and the underlying physical markets started taking cues from these prices, destabilizing the global economy, Khatua said, adding that these were the dangers of commodity futures without threat of delivery. The high-level coordination committee on capital markets has recommended integrating the operations of the commodities markets regulator (FMC) with the capital markets regulator (Sebi). And the finance ministry seems to be keen on implementing this. Do you see this happening soon? Commodities market is very different from the capital market. The commodity market requires much more handholding and physical market reforms than the capital markets. The (commodities) market is very different from capital markets in terms of objectives and characteristics. The regulatory tools are also different. The commodity market (regulator uses) many more tools than the three-four conventional globally known tools used in the capital markets. People tend to make such suggestions looking at Western markets, but we have seen how they have failed… But look at what happened to the oil prices. Oil reached $147. Was oil delivered at $147? No. Physical markets was following the futures market. Why it happened (was) because financial investors like hedge funds and investment banks started putting lot of money into commodities. If you are using (the) market for (a) making profit, you don’t need a commodity derivatives market, if you want to treat it as an investment market. What happened in the West is an eye opener. People have realized that treating commodities market like any other investment market is dangerous. After having seen what happened over the past year-and-a-half, I would rather suggest the government to close down this market than merge it with the investment market. Agreed that these markets are different. But as an investor, should I have to keep track of seven regulators? Should they not work in harmony? Working in harmony is different from being one. I am not commenting on whether other regulators for markets like insurance, capital markets and pensions need to be merged. Personally, I feel each market should be developed separately and be allowed a focused regulator to build regulatory mechanisms independently and later on when they mature, they could be brought together. But even then (the) commodity market will always remain different. Underlying product is different because the objective is different. For the capital market, the objective is capital formation, so is PF (pension funds), insurance or pension, at a personal level. What is commodity market for? Is it for forming capital either for the corporates or for the individual? The primary objective of the commodity derivatives market is to manage price risk. In no other market, price risk management is as important as in a commodities derivatives market. But on what basis have these recommendations been made? Did the committee not study these issues? The report does not study commodity market. The committee does not even have a commodity market player (as a member). It has not talked to any commodity player, exchange or the regulator. Without talking to anyone from the market, without studying the market, how can you prescribe something? I will question their credibility and competency to talk about the commodity markets. Is there any synergy between you and Sebi in terms of infrastructure or risk mechanisms? When Sebi started in 1992, those people came here to understand the regulatory tools used here. FMC is a 56-year-old institution. Sebi is younger. But Sebi got persistent support from government. What political support has FMC got in the last 40 years, particularly after markets were opened six years ago? There is a need for inter-market coordination. Yes, there is an HLCC (high-level coordination committee) under the coordination of RBI (Reserve Bank of India) governor. But FMC was not a member there. You don’t make use of the consultative forum available. Without consulting this market, without making an effort to understand the market, you are making a comment on this market. Have you responded to the report? We have responded broadly on these lines. Our comments were not commented upon. Obviously they have nothing to say. When are you expecting the Bill to empower FMC as a full-fledged regulator to be passed? Is the proposal to merge it with Sebi delaying the Bill? Hopefully, the Bill is (going to be) taken up for discussion in the November session (of Parliament). These are two different issues. It’s a parallel debate. The Bill is delayed for various other reasons. Is there pressure from the government to move towards an integrated regulatory model? No. The consumer affairs ministry is opposed to it. The idea was mooted seven-eight years back, when this market was yet to take off. Government was then not sure how to create the commodity market. At that time, all kinds of theories were floated, one of which was to merge it with Sebi. Once government opened commodity market and three exchanges came up, they have proved (to be an) instantaneous success. Barring some minor glitches, the technology was 99% success, trading took off from Day One. From Rs60,000 crore in the first year, the turnover has zoomed to nearly Rs60 trillion in six years. Things have changed. Are there too many exchanges now? To each his own. (laughs). India has a large commodities market. There are just three players. One is mostly non-agri. One is mostly agri and the third is niche-agri. We are likely to see two more in the near future. There is hardly any overlapping commodity. In fact, there are many commodities where there is not a big- enough market. For example, wheat is 80 million tonnes crop. At least 30 million tonnes is traded. The contract doesn’t attract more than Rs10-15 crore turnover. Huge potential (has) not yet (been) tapped. Similarly, there are just three cotton contracts. You say the commodity markets should be primarily for hedging. But the major part of volumes comes from trading. Typically, the ratio should be balanced around 45:55 to 55:45. When this ratio goes haywire, it’s trouble. That’s what happened in the West. The hedger got squeezed out. You don’t want the hedger to (be) squeezed out. In the crude contract in Nymex (New York Mercantile Exchange), the hedgers were not in picture. It was (the) speculator who was driving the prices. These guys have never seen a barrel of oil. They don’t play oil. They play in the contract. Is it not the same thing that is happening in some of our non-agri contracts? Yes, it’s happening. Because unfortunately for those contracts, we are almost running copy contracts in many of these commodities. We are not price setters, and are price takers from West. Gradually, I have a hunch that gold and silver, or at least gold, can become the price setting contract. India is the largest gold consumer… There is a real possibility for India becoming a price setter. (As for) base metals, I don’t see us becoming price setters in the foreseeable future for the simple reason that LME (London Metal Exchange) has perfected the process over 100 years and has delivery centres at over 200 centres around the world. And, because LME operates the contracts on delivery threat. Gold exchange-traded funds (ETFs) are gaining popularity. Isn’t that the territory of FMC? Legally, gold ETFs should be with the commodity markets, I don’t know how (the) capital market has started it. I’ll stop at that. The ETFs run by capital market have doubtful legal validity. In commodity markets, as of now, we cannot run gold ETFs because we can trade only goods-based derivatives not fund-based derivatives like ETFs or other exotic derivatives like weather, etc. Similarly, we cannot trade options. But that does not mean capital market can run these products. Have you made any representations against this? It is being done at the government level. Are there any new products? Do you see a reversal in ban of the contracts like sugar futures? I can’t say now what products we will approve in the future. Though it’s a bit like chopping off one’s hands to prove your innocence. By suspending futures, one has been able to prove that futures market was not responsible for the rise in prices. One can take black humour from that. Sugar futures were suspended when the price rose to Rs23, from Rs19. Now, let me also say it rose from Rs23 to Rs32, it is because you banned futures. Jokes apart, it can actually happen… Futures prices are a significant barometer. If you lose the barometer, things can go haywire, like it happened in potato contracts some years ago and the farmers lost heavily as prices crashed 20% in 10 days. Once the full-fledged regulatory powers are conferred on FMC after the Bill is passed, can we expect a ban on such bans? Government will always have an overriding authority. That’s the case with Sebi also. That the government does not use this power in case of capital markets is a different matter. When a price of a share goes up or down, it may affect a few lakh people. But when chana (gram) prices go up or down, it affects one billion people. It even has a global impact, given India is a huge producer and consumer of commodities. Do you see commodities prices going up from current levels, considering the fear of scanty rainfall? In kharif crops, the season is almost gone. With lower rainfall in August, whatever losses we had to incur in kharif crops have already happened. Overall, the government is expecting a 10 million tonnes lesser production in rice at 85-90 million tonnes. Also, we have about 50 million tonnes of rice and wheat in stores. So, I do not see any major price hike in kharif crops. But if the rainfall remains deficient even in the case of rabi crops, the supply side will become more bullish. It will be a total disaster for the entire season and there will be a huge pressure on the supply side. Import is the only answer then. It is difficult to gauge the specific impact on prices. But in case of price aberration, the government has a leeway for policy intervention.